Air Solutions specialise in selecting and engineering the right dehumidification solution for your application. 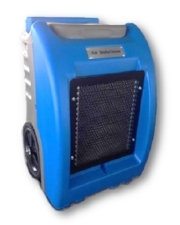 We supply a wide range of commercial and industrial dehumidifiers. Industrial Hi-tech Fisair models ranging from 140 m3/hr to 24,400 m3/hr. Commercial portable dehumidifiers perfect for restoring your environment. For a short time we have some ex-rental units available for sale. High quality dehumidifiers for pool rooms. What type and size of dehumidifier is right for me? The type and size of dehumidifier needed depends on a range of factors including what you are trying to achieve, where, for how long etc. Fortunately we specialise in selecting equipment for all applications and scenarios. Get in contact with us to see how we can help with your application or project.